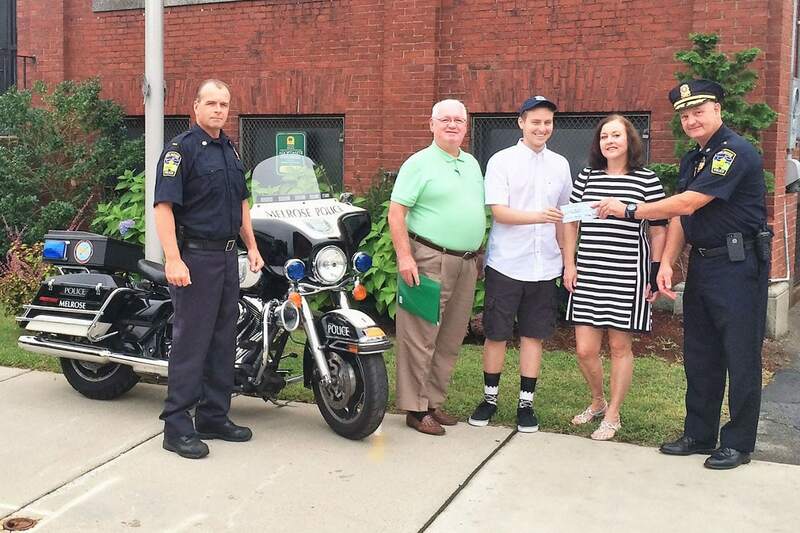 Today Cops for kids with cancer, made a donation to Andrew Marshall, 17 years-old, and his Mother Paula of Melrose. Andrew has been diagnosed with Leukemia. In the photo, Left to Right. Lt. Mulrenan, Melrose PD, Eddie McNelley, CFKWC/Boston PD, Paula Marshall, and Chief Lyle.